Last week's economic news included minutes of the most recent Federal Open Market Committee (FOMC) meeting. 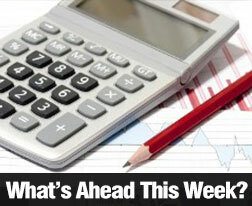 Weekly reports on mortgage rates and new jobless claims were also released. Minutes of the FOMC meeting held March 15 and 16 suggest that FOMC members are easing their enthusiasm for raising the target federal funds rate. In recent months, the committee has indicated that it was leaning toward raising rates on a slow but steady pace. Ongoing concerns over changing global economic and financial conditions contributed to FOMC's decision not to raise the key federal funds rate. Low energy prices continue to cause U.S. inflation to stay below the Fed's goal of two percent, which suggests that the economy is not recovering as fast as originally expected. Housing markets and household spending improved. Committee members characterized developments in labor and housing markets as "broadly consistent" with earlier expectations. Some housing markets connected with energy production weakened. FOMC members elected to maintain the target federal funds rate at a range of 0.25 to 0.50 percent. Global financial and economic developments were cited as contributing to the Committee's decision not to raise its target rate. Mortgage rates fell across the board last week. According to Freddie Mac's weekly survey of mortgage rates, the average rate for a 30-year fixed rate mortgage dropped to 3.59 percent from the previous week's reading of 3.71 percent. The average rate for a 15-year fixed rate mortgage dropped 10 basis points to 2.88 percent; the average rate for a 5/1 adjustable rate mortgage dropped to 2.82 percent from 2.90 percent. Average discount points held steady at 0.50, 0.40 and 0.50 percent respectively. Last week's mortgage rates were the lowest in 14 months. Weekly jobless claims fell to 267,000 new claims against expectations of 268,000 new claims and the prior week's reading of 276,000 new jobless claims. New jobless claims remained below the benchmark of 300,000 new claims for the 57th consecutive week. This week's scheduled economic news releases include retail sales, the Fed's Beige Book report, the consumer price index and core consumer price index. Weekly jobless claims and Freddie Mac's mortgage rates report will be released as usual on Thursday.